This fresh and emotional historical novel emphasizes the importance of love despite class and racial differences. Katelyne Parker’s Hosanna is an emotional historical novel that is very much applicable to current times. Parker has a fresh, contemporary voice. The novel begins in 1945 in Midville, Georgia, a town with conservative views of people of color, and spans decades. 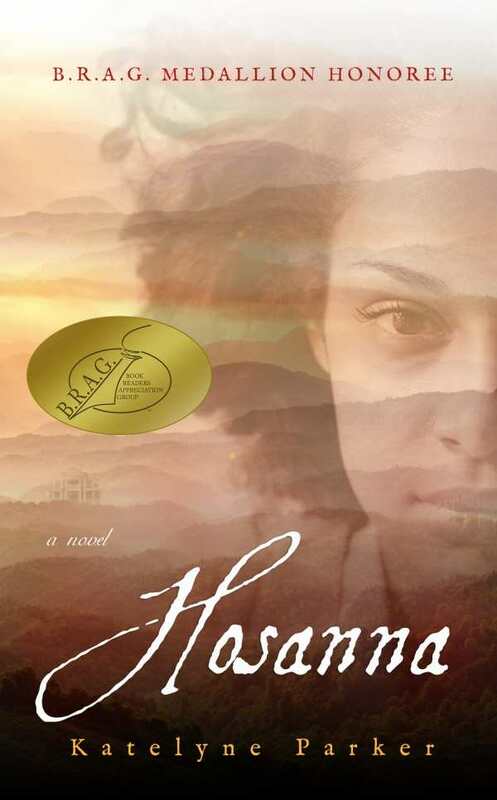 Hosanna’s birth is related through the perspective of a black maid named Mother Hill, who serves Hosanna’s white family; the rest of the book comes from Hosanna’s point of view. Hosanna is immediately considered an abomination. She is black from her father’s side and white from her mother’s, and her mother and grandmother will not accept her. Instead, they treat her like they treat Mother Hill. Mother Hill and Hosanna are sympathetic characters who are set up as opposites. While Mother Hill submits to everything her employer says, Hosanna is stubborn. She wishes to be accepted by her true family and to one day be free from her duties as a servant, especially since most people in the town do not know about her true lineage. Both have unique voices and attitudes. Hosanna’s real mother also undergoes character development, beginning the story as a seeming invalid who won’t speak to her daughter and progressing to become a woman who will fight for her true love. Mother Hill also demonstrates the importance of taking care of family, a lesson which she tries to teach Hosanna. There are multiple plot threads beyond Hosanna’s wish for freedom, all of which make the book more interesting and complex. Hosanna wants to be with her father and reveal her truth to the town, as well as to get her mother and grandmother to open up to her. Historical themes, including elections and getting black people the chance to vote, are also prominent, as is Hosanna’s search for love. Though plot threads overlap, they are never overbearing in number. The novel remains easily accessible and enjoyable for older teens and adults. Katelyne Parker’s Hosanna is a fresh and emotional historical novel that emphasizes the importance of love despite class and racial differences. Hosanna’s voice is memorable within this timeless story.